on this page are listed my activity countries, and, for each of them is showed a characteristic photo in order to give a closer reality of the same country, as to release an intuitive vision to whom will visit this pages, on how that country is characterized and on which type of economy it is sailing. 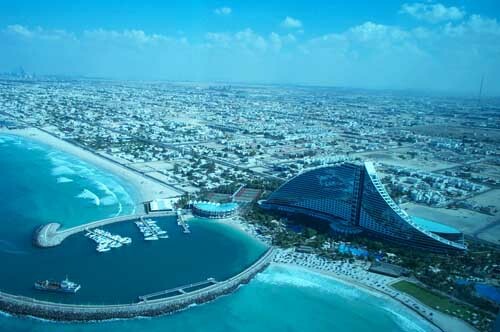 dubai is the second largest emirate in the u.a.e. its total area is around 1000 square miles. the city of dubai is divided by the famous dubai creek or khor. this natural harbour, and dubai's strategic location on the international trading map has made it one of the world's leading trading and commercial centers. the ruler of dubai, h.h. sheikh maktoum bin rashid al maktoum, succeeded his father in 1990.
his father, sheikh rashid bin saeed al maktoum was one of the founding fathers of the uae together with h.h. sheikh zayed bin sultan al nahayan and was the vice-president and prime minister until his death in 1990.
now, sheikh maktoum has taken the mantle of the above positions. the maktoum family is also a part of the baniyas tribe who first settled in abu dhabi but then later took control of dubai in 1833. dubai's growth can be traced back to the early years of the century when the grandfather of h.h. sheikh rashid bin saeed al maktoum persuaded the british shipping line plying between britain and india, to make dubai their main port of call in the 1940s. to further consolidate its position as a major port, h.h. sheikh rashid bin saeed al maktoum took an active interest in the development of dubai, he established a police force, a customs service and developed trade connections with india. soon, in the 1960's, with the discovery of oil, money started to pour in and dubai's prominence and prosperity increased. but aware of the risks of oil-dependency, sheikh rashid actively promoted new industrial ventures. the aluminium and cement factory are the result of this endeavour. the jebel ali free trade zone - the fifth largest in the world within a short span of ten years, has attracted over 900 international companies that include global giants - a few of these are general motors, aeg, aiwa, bp, ciba, geigy, daewoo and heinz. * the gold prize for the best destination in the middle east in the 1996 world travel prizes ceremony held in june 1996 in las vegas, usa. dubai also won the silver medal for the best tourism and conference centre in the middle east. * the dubai shopping festival, held every year is a major attraction for tourists worldwide. * the dubai world trade centre has also emerged as the best exhibition and conference centre in the gulf region by hosting innumerable international fairs and events like the gitex and index, that attracts buyers, sellers and customers from all over the world. * the dubai international airport considered as the world's second best transit airport, currently handles 7.3 million passengers per year with a growth rate of 12% that is double that of any other airport in the world. * the dubai air show is currently ranked third as the most significant international air-shows on a global scale. the first being farnborough in britain and the second le bourget in paris.